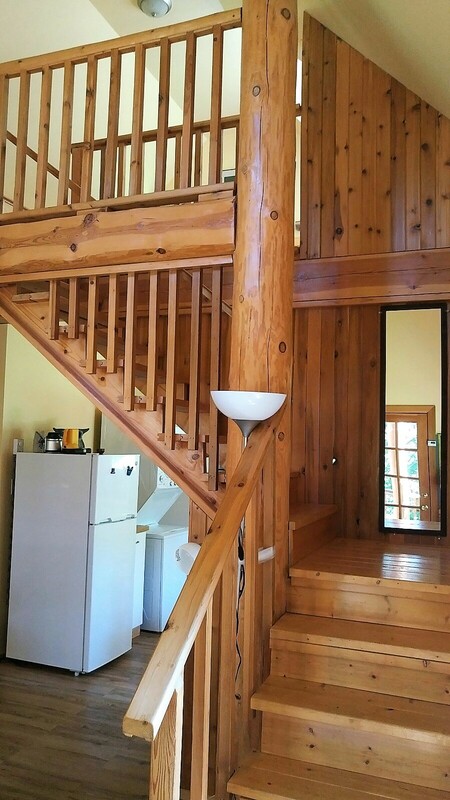 Situated on the edge of the forest overlooking the Manor grounds and gardens. 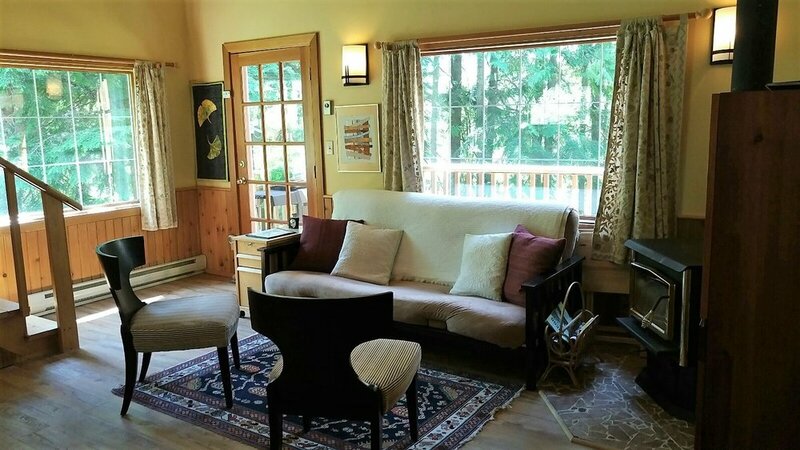 the Wedgwood Retreat Cabin makes a perfect holiday getaway for a couple or a small family - private, beautiful and unique. The space features a lofty cathedral ceiling accented with cedar timbers, and shining wood highlights throughout. The airy loft bedroom has a queen bed and a claw-foot tub, with lots of windows to catch the cool night breezes and pure mountain air. The main floor features a full kitchen/dining area, a 3 piece bathroom, and a double futon. There's also a porch that wraps around 2 sides of the cabin with a barbecue grill. The cabin faces a beautiful pond with cascading water and a patio set to lounge outdoors. Surrounded by magnificent trees and overlooking the mountain range. 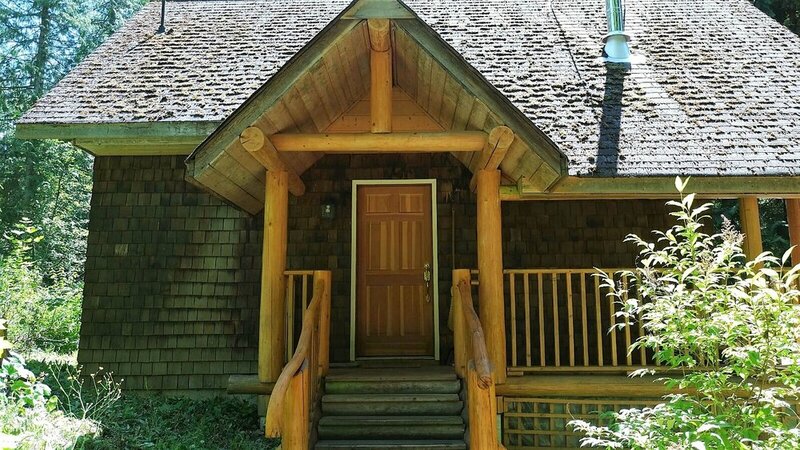 Please note that for the summer of 2019 The Cabin will be undergoing some upgrades and will be re-opened late in the season. We’ll keep you posted.